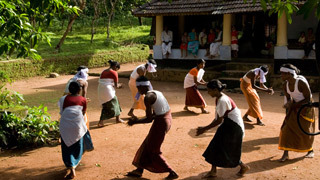 A traditional art form that captures hearts with its sudden rhythmic movements and dynamic music is Margomkali. 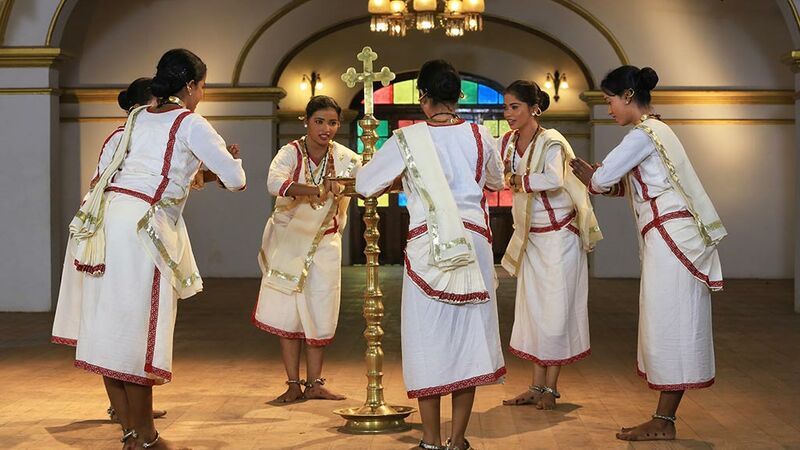 In this folk art of Christians, a group of dancers do the performance with the accompaniment of a song that comprises the ‘Vandana Ganam’ and one of the 14 ‘padas’ or stanzas on the legends of St. Thomas, one of the 12 Apostles. The performance is conducted around a traditional lamp in a symbolic representation of Christ standing among his disciples.